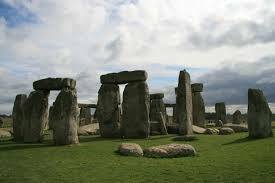 There are few place in England older, or more shrouded in mystery, than Stonehenge. The famous stones in Wiltshire have aroused much speculation throughout the centuries – that they were built by alien gods – conjured up by Merlin – designed by the Druids for ritual sacrifices – or were part of a mystical system of Ley Lines. This magic circle still draws thousands of tourists every year from all parts of the globe. It is a place of natural energy and stunning design. But there is another place of wonder in the North of Britain, far more ancient and equally fascinating, called Pendle Hill. Almost the size of a mountain, it rises 1,829′ above sea level in the Pennine Range, separating the ancient seats of Lancaster (Lancashire) and York (Yorkshire). The hill is a place of stark, feral beautiful, often mysteriously shrouded in mist. A Bronze Age burial site has been discovered on the summit, and it is said that the Druids once lived close by. For as long as men and women worshipped the rising sun there have been celebrations on this thirsty earth, a soil demanding human blood. There are rumors of wicker-man sacrifices – fertility rites to bring in the spring – priestesses who could raise storms and conquer invading enemies. Even the great Julius Caesar admitting to fearing these weird conjurers. 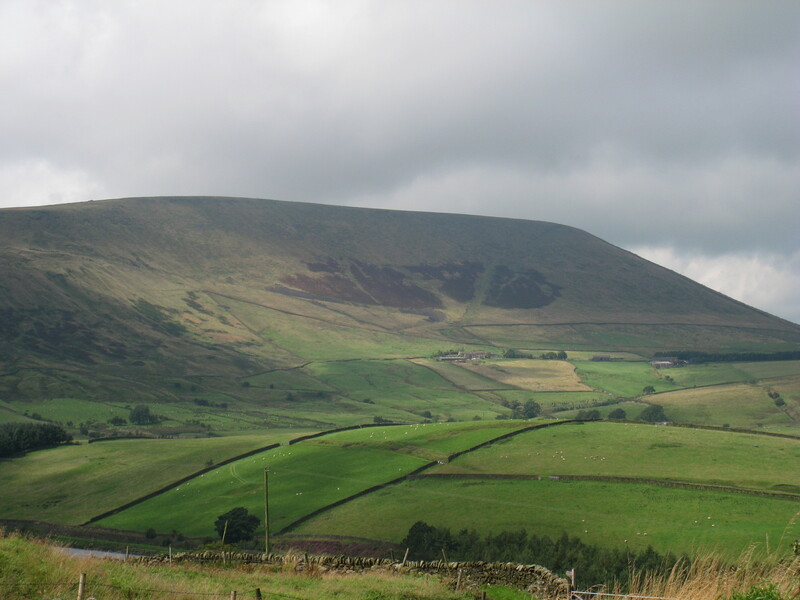 Although little of Pendle’s history is certain before the Norman Conquest, the land was then given to the De Laceys and they established two “royal” hunting grounds, one in the Forest of Pendle and the other in the Forest of Trawden. Throughout the Middle Ages this area was a center for sheep farming and wool production, and despite Henry VIII’s Reformation the people clung to their old beliefs – probably a little Celtic paganism mixed with Catholic ritual and a hefty dose of superstition. It is still an awesome place today. From the top of the cairn you can often see as far as the sea. The air tingles with a hidden current, like the pulse of an ancient heartbeat. This peculiar energy cannot be explained but it has been interpreted in two important, yet widely opposing ways. In 1652 George Fox climbed to the top of Pendle Hill and had a vision of many souls coming to Christ. This compelled him to start the Quaker Movement and dedicate his life to the service of God. A few years earlier, however, this same land was thought to be riddled with witches and demons, which triggered the Lancashire Witch Trials of 1612 and 1634. If you are ever in Lancashire, it is well worth a visit! This entry was posted in History and tagged Druids, Lancashire Witches, Pendle Hill, Stonehenge. Bookmark the permalink.